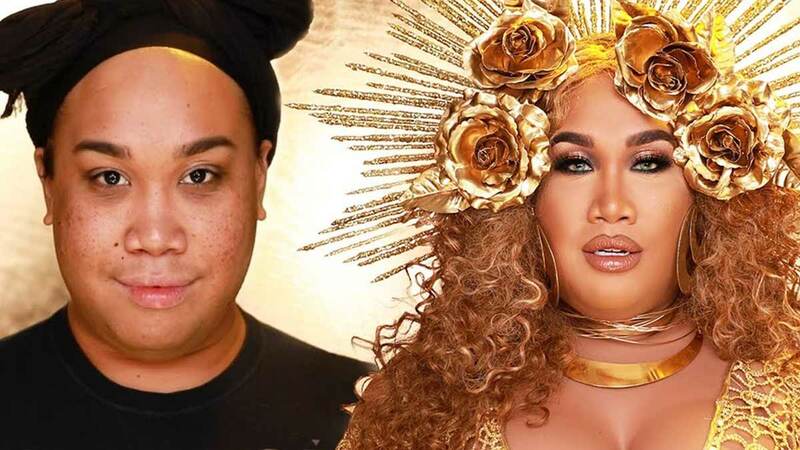 "I aspire to be a survivor, an independent woman, a diva, and Beyoncé," said Patrick Starr right before revealing his ~*glorious*~ Queen B makeover—which was clearly inspired by her look during the 2017 Grammy Awards, where she was dressed in a gold gown and crown, looking like the goddess she truly is. He then brought out his "babies," as a reference to Bey being pregnant during that time with twins Rumi and Sir, before revealing his step-by-step process on how he turned into the iconic singer. And while he may have used a lot of products for each step—because turning into Beyoncé is not an easy task—he was able to blend them all seamlessly together using his "booty blender," an army of brushes, and a ton of powder LOL!